Lightweight pink Mothers Prayer and cross pattern infinity scarf approximately 20" x 27". 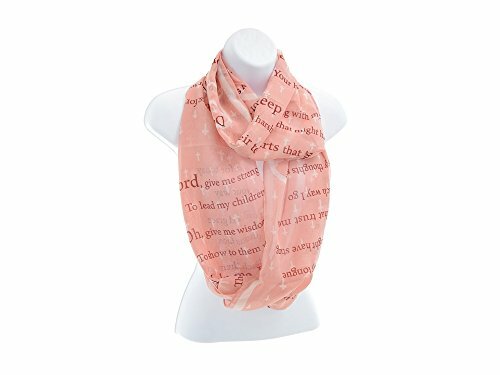 This scarf will make a great gift for yourself or the woman in your life. Size : approx. 20" x 27"
If you have any questions about this product by Occasions Gift Giving, contact us by completing and submitting the form below. If you are looking for a specif part number, please include it with your message.